Halena Song Teaser from Iru Mugan: Vikram and Nayantara starrer Iru Mugan’s song teaser Halena will be released on July 16, 2016, at 7 PM. The news has been officially confirmed by Sony Music South through twitter. Harris Jayaraj’s composition Halena song teaser will be revealed on July 16 from Vikram’s upcoming movie Iru Mugan. The news is officially announced and confirmed by Sony Music South, the company who has acquired audio rights of the film Iru Mugan. The song features Vikram and Nayanthara and the song was shot on the beaches of Thailand. Stay tuned to watch the Halena song Teaser online. 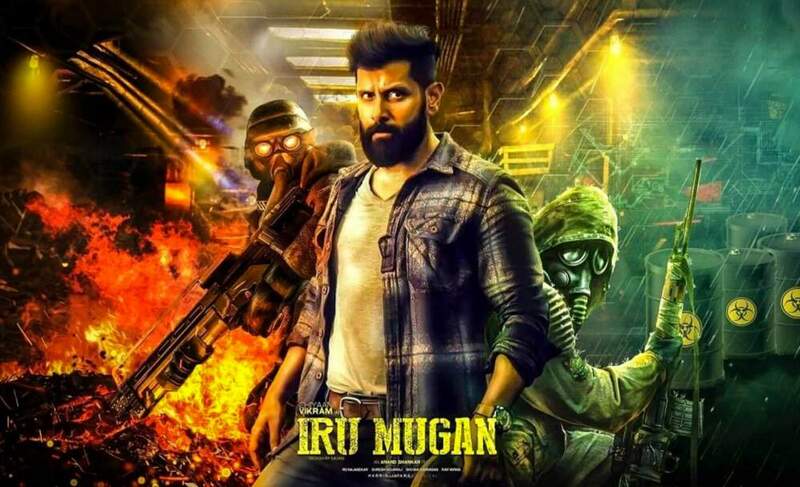 Iru Mugan is a Tamil word which means ‘two-faced’. The movie is said to be a sci-fi thriller in which Vikram plays the role of a RAW agent who is on a mission that takes him to Malaysia, Thailand, Indonesia and finally to Kashmir. The story of the film has been kept under wraps, but the teaser shows that Actor Vikram is playing a dual role — a RAW agent, and a boxer. The buzz of the movie is that Vikram is playing a dual role as hero and the villain in the film. The movie also stars leading Tollywood actors like Nithya Menon and Nayanthara as leading ladies in the movie with Harris Jayaraj composing the music of the movie. The movie is made with a huge budget of Rs 60 crore. Iru Mugan will release on September 9, 2016, worldwide. Don’t forget to share your reviews about “Halena Song Teaser” as comments down.